This is the story of people connected by their shared interest in others — and by chess. These are the words of Lewis B. Cullman, who in 2019 celebrated his 100th birthday. He blazed a new trail in philanthropy, donating more than a half billion dollars to causes he cares about — you’ll see his name on the walls of many of New York’s premier cultural organizations. 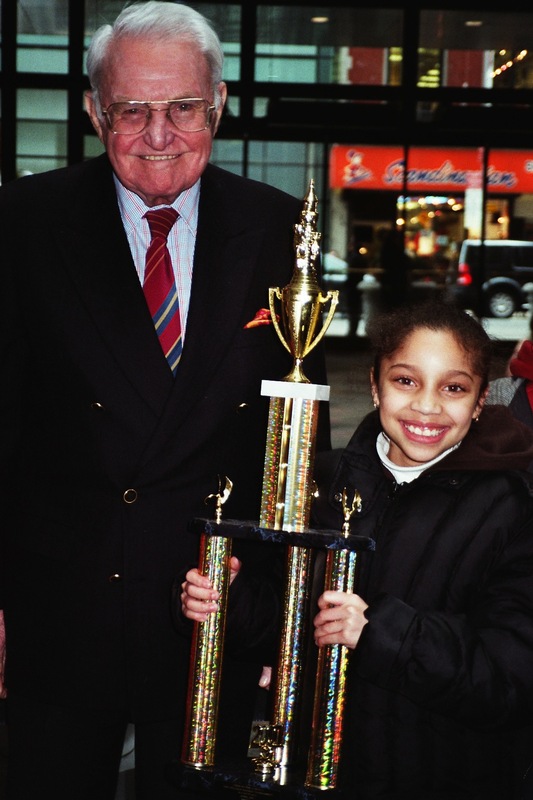 But his true philanthropic passion reached its apex in creating the organization Chess in the Schools (CIS) in 1986. Cullman saw the provision of chess instruction within schools serving low-income children as a unique way to build those students’ intellectual and social capacity. 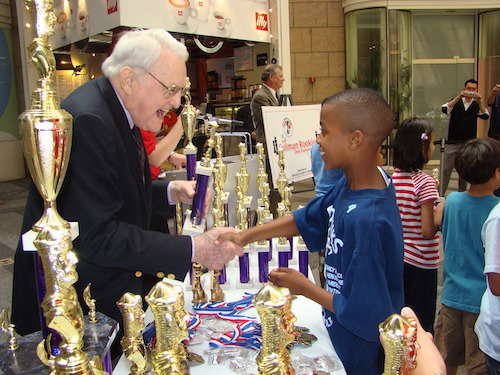 He believed compassionate and experienced educators provide a stimulating and enjoyable way to develop logical and critical thinking skills, patience, concentration, sportsmanship, and self-esteem in youth. And, finally, he discovered that, as a result of this approach, many of these children grow up to help others. More than a half-million low-income public school students in New York City have benefitted from Cullman’s vision and determination, participating in year-long chess instruction programs, tournaments, or in CIS’s College Bound program. But Cullman is proudest of the CIS students who give back. CIS Board Member Kwadwo Acheampong, who was born the year Cullman celebrated his 65th birthday, grew up in a low-income single-parent household in the South Bronx. “Pro sports was the only path to success my peers heard about until CIS introduced me to a different kind of sport — one that primarily brain skills — concentration, logic, patience, and analysis,” says Acheampong. “But it also gave me confidence, a group of smart and motivated friends, and the ability to dream big for my future.” With CIS, Acheampong traveled to chess tournaments in other states and countries, was featured on CBS, receiving what he describes as a precious combination of practical training, encouragement, and love. Acheampong, now a Vice President at Prudential Fixed Income, is a rising star in the corporate world, but his passion to create a better world has led him back to serve on CIS’s Board of Directors and as its External Relations Chair, where he leads campaigns to annually raise more than a million dollars — including his own birthday Facebook campaign, to which more than 90 friends contributed. “As Lewis always told us, there is no greater feeling than that of helping others. Marcus S. was born in 2004, the year Acheampong was graduating from high school and CIS. Now 15, Marcus is a sophomore at Edward R. Murrow High School in Brooklyn, a Title I school and a CIS College Bound program student. He is already a Class A-rated chess player, but like Acheampong, he is already making a difference. “You don’t have to wait until you’re old and rich to make a difference,” says Marcus. Through CIS, he has already volunteered with five organizations, and was a keynote speaker at the recent A Better World Festival in Queens, where he inspired thousands of attendees with his impassioned call for youth activism. 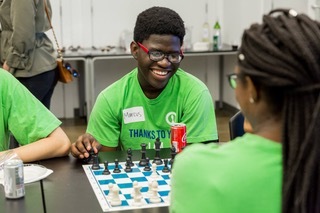 “Chess changes lives and Lewis has changed more lives through chess than anyone in the history of New York City,” says Debbie Eastburn, CIS’s President & CEO. He is one-of-a-kind, but his vision and commitment has provided hundreds of thousands of Kwads and Marcuses with the skills and confidence to find their paths to success and to giving back.